1. Sales rnSupports the local Sales organization/customers in determining the most technically appropriate and cost-effective solutions and in the preparation of demanding offers. Provides technical support during the technical meeting, product presentations and negotiations and offers service product/ solution.rnrn2. Volume and profit	rnSells services products to customers, focusing on volume, mix and profitability targets for assigned Business Units/Product Groups.rnrn3. Cost definition	rnDefines cost for the proposed solution and communicates to service Sales organization.rnrn4. Offer preparation	rnPrepares/supports preparation of technical/commercial offers based on customer specification requirements, Local Business Unit/feeder factory indications and Sales organization directives. Participates in the kick off meeting organized by the project team.rnrn5. 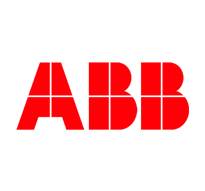 Risk review	rnProvides information to the risk review process in accordance with ABB policy and sometimes participates in the risk review assessment.rnrn6. Competitive analysis	rnAnalyzes customer needs and competitor offers through general market information and information provided by the service Sales organization.rnrn7. Customer relations	rnEstablishes and maintains effective customer relationships to understand customer needs, promote customer understanding of full services products offering, and align to provide a solution. Ensures a positive customer experience throughout the sales process and regular visit, rnrn8. Marketing	rnEnsures efficient marketing activities and value proposition to customers. Marketing of Value added services to all end users.rnrn9. New market opportunities	rnIdentifies and drives the development of new market opportunities in the designated market and ensures know-how sharing and cross-collaboration.rnrn10.Administration	rnManages administrative procedures in sales processes, and supports collection and project management activities when needed.rnrn11. Channel Partner	rnParticipates with management to identify, evaluate, and authorize channel partners. Manages annual performance assessment activities for channel partners and development of service channel partnersrnrn12. Lost proposals	rnPerforms lost proposal analysis, identifies potential cause, and recommends future actions in cooperation with Sales/Local Business Unit to obtain better future results.rnrnRequirements:rnIdeally, you'll hold a Bachelor in Sales/ Marketing or equivalent with five years experience in the same field.rnand English language proficiency must be excellent.